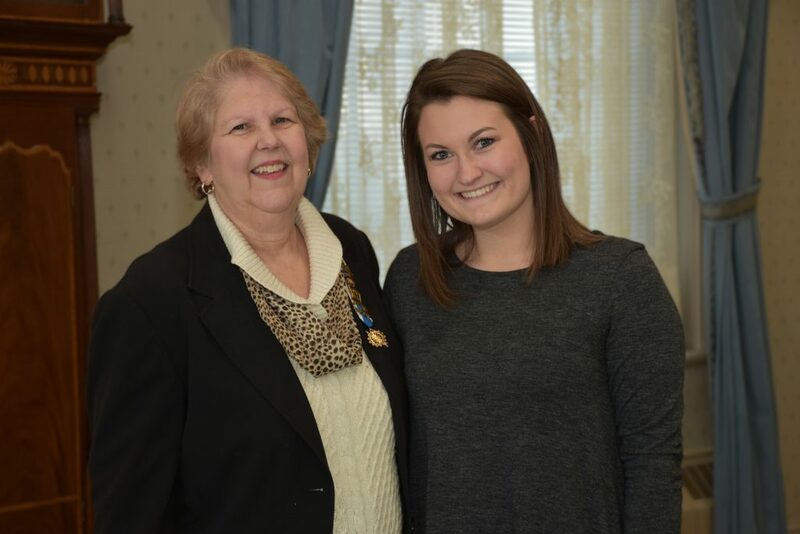 The Pack Horse Ford Chapter, National Society Daughters of the American Revolution (NSDAR) in Shepherdstown has awarded an academic scholarship to a Shepherd University student for the second consecutive year in memory of one of its most honored members, Ruth Power Thacher. Cierra Crockett, a junior elementary education major from Jefferson County, is the recipient of the 2017-2018 scholarship award, established through the Shepherd University Foundation. A graduate of Jefferson High School, Crockett is president of the Country Clovers 4-H Club in Jefferson County, a position she has held for six years. After graduating from Shepherd, she plans to become certified in special education and pursue her master’s degree in administration. “Receiving this scholarship has given me the opportunity to positively influence the students in my community and provide educational resources to many,” said Crockett, whose guidance of young 4-H members inspired her choice to major in education. Thacher also aspired to make a difference in the lives of countless numbers of people. She was a member of the Pack Horse Ford Chapter for more than 50 years and served honorably in the role of Regent. In recognition of her 50 years of service to the chapter, Thacher was named Honorary Regent. Thacher accomplished much in her life. She graduated from Martinsburg High School as a member of the National Honor Society. She attended Shepherd and received her bachelor’s degree from West Virginia University, as well as a master’s degree from George Washington University. She began her 38-year career as an educator at John Street School in Martinsburg and went on to serve as a principal at multiple elementary schools in Washington County, Maryland. In 1939, she married William R. “Pappy” Thacher, a professor of economics and sociology at Shepherd for 38 years and the first president of the Shepherd University Foundation. Thacher Hall is named in his honor. Ruth Thacher also served on the Foundation’s board of directors for 15 years in the role of vice president. She was awarded an honorary doctorate from Shepherd in 1991 and the President’s Medal in 1997. In 2001, she was made an honorary director of the Foundation. She also served as a member of the Shepherd University Board of Advisors and as alumnae advisor to the Beta Delta Chapter of Sigma Sigma Sigma sorority. Thacher was a leader in the American Association of University Women (AAUW), having served as state president of the West Virginia Division. During her term as state president, the International Study Program was established as a means of promoting goodwill in other countries. The first AAUW International Study Grant from West Virginia was named in her honor.